Turkey Season is here! Order yours today! FRESH IS BETTER! Frozen turkeys dry out because freezing alters the cell structure of the muscle. 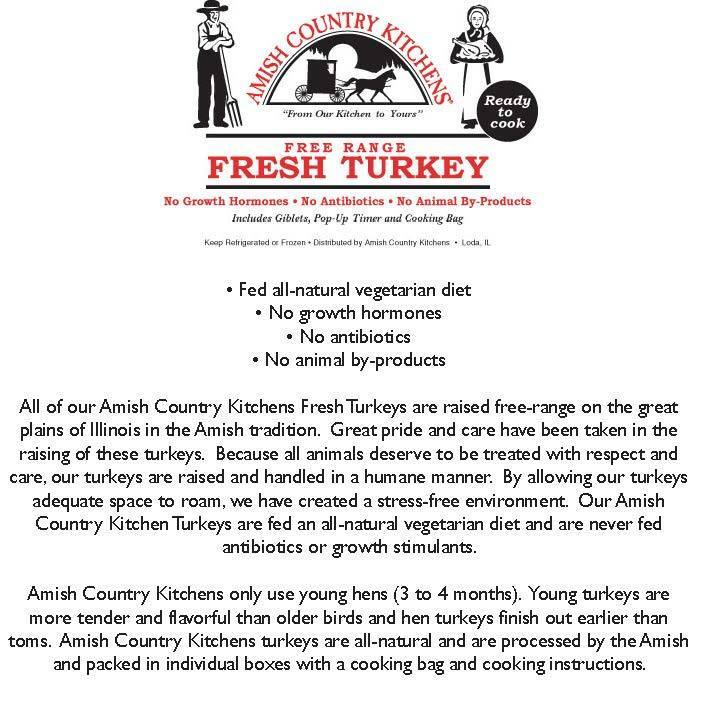 You can be assured that Amish Kitchen Fresh Turkeys have NEVER been frozen!